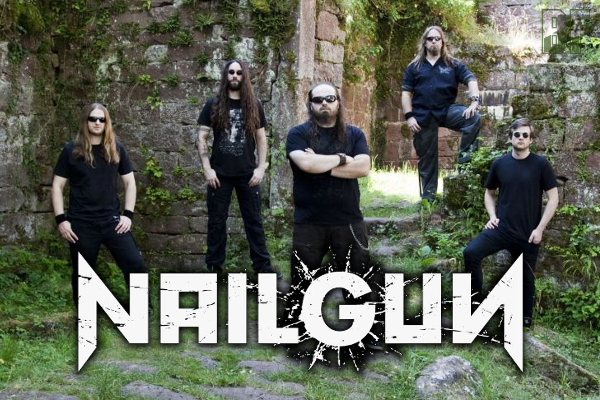 NAILGUN is a German Metal band, has been activating since 2008. The band has released so far three albums and their first release was a self-produced album entitled "Paindustry", they caught attention in the metal press. The latest one is "Desolation" released on November 28th 2014 through 7 Hard Records. The sound is much straighter and harder than ever, including more elements of Thrash metal, bruising and bulky guitar riffs and they nail down their songs in a way you haven't heard the band before. 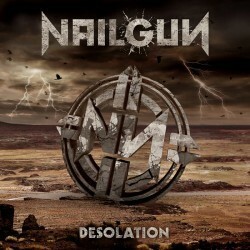 Edgy and fierce riffs, catchy lead guitars and melodies, powerful vocal lines and anthemic choruses you can be heard in every part of the songs are the typical NAILGUN sound. Again recorded, mixed and mastered by their long-time producer Tom Müller at Flatliners Studio who gave the album its signature tone. The album artwork is modern, artistic and is a straight-forward pictorial representation of the title, made by Season Zero, again.